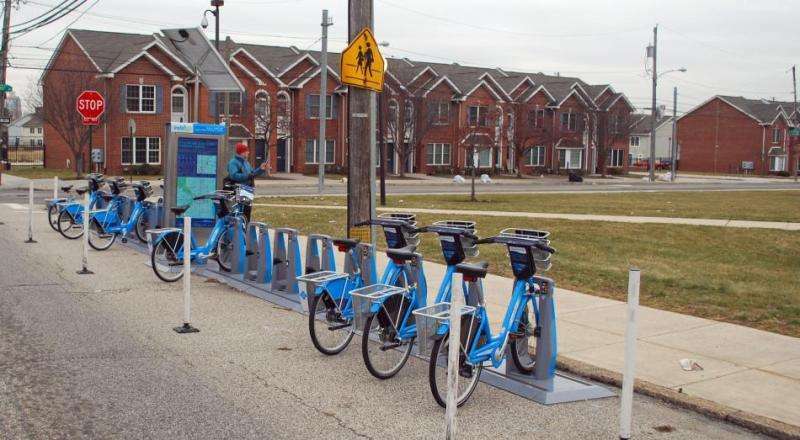 People of color and low-income residents of major cities are far less likely to use municipal bike sharing systems than their white and higher-income counterparts. But researchers at Portland State University say that situation could change if cities addressed areas of safety, ridership cost and other factors that keep those groups from using bike sharing. The research team, led by PSU's Nathan McNeil and Jennifer Dill, surveyed residents of Philadelphia, Chicago and Brooklyn. One reason persons of color and low-income residents in those cities said they did not use bike share programs was because of fear of traffic and concerns for their personal safety, including fear of harassment or becoming a victim of a crime. The report makes several suggestions for improving ridership among minorities and low-income residents, including discounts and other cost-saving measures. It also suggest greater public relations efforts to let those populations know how to use bike share and how to access available discounts. Bike share customers typically use a credit card at a bicycle docking station, although cash options are sometimes available. The process allows riders to check out a bike for 30- to 60-minute intervals before returning it there or to another station. Customers can also use smartphones to locate docking stations and see if bikes are available. But the report found that lower income people of color were far less likely to own a credit card, a debit card, a smartphone or have reliable internet access than higher income residents. Cost was also a big factor among lower income respondents, as was the fear that they would have to pay for the bike if they damaged it. Although reduced-cost membership for low-income residents—such as Portland's BIKETOWN for All program—is available in some cities, about a third of the respondents didn't know about them. Eighty percent said they would be more likely to use bike share if those options were in place. Bike sharing systems have grown rapidly over the last decade, going from a few select European cities to expanding in North America at a pace of nearly two dozen cities per year. There are more than 150 bike share programs in the United States. The report states that less than half of low-income people of color have a driver's license and only 17 percent own a bicycle, and that bike sharing could go a long way in filling their transportation needs.